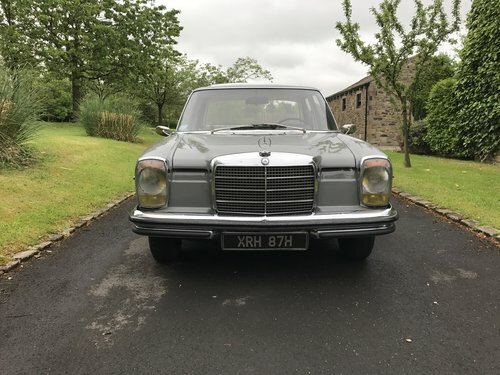 For sale is my handsome LHD 1969 Mercedes W114 250/8 in Arabergrau Grey. 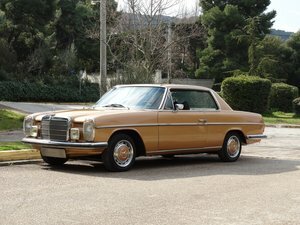 This beautiful example took some finding (particularly in this rare, undeniably-attractive colour) and was sold to me by an enthusiast who had imported it from the South of France (where it had lived the majority of its life as the holiday car of its original purchaser, a company-director from Paris). 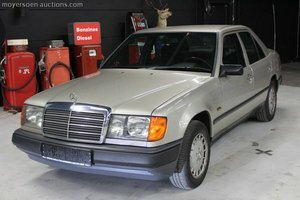 It passed to its second owner upon his death in the late 1980's (his business partner bought it from his widow) but then stood unused for many years until passing to its third owner, who recommissioned it and (apart from the roof, which remains entirely original) had it repainted to the highest of standards to address some deep scratches and minor dings it had acquired across its long life. 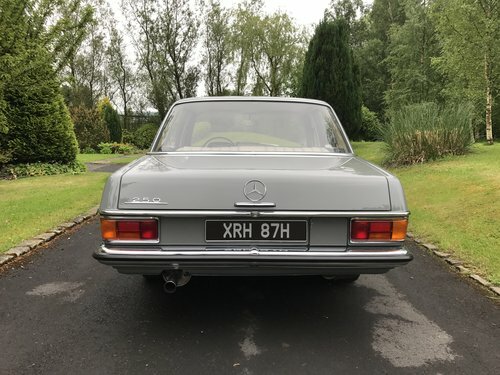 For the avoidance of doubt, there has certainly been no accident damage or rust issues. 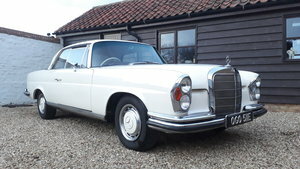 It was then imported by its first UK owner (who was something of an expert and enthusiast, who used to show the car and had it featured in numerous classic MB magazines) who, when he needed to make room in his collection for a new arrival, was thankfully persuaded to sell it to me. 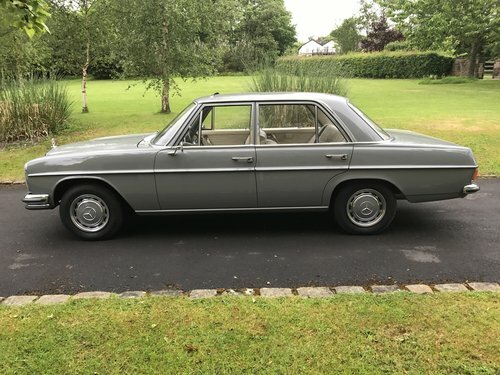 Having been doted-upon and garaged all of its life, the car is in fine, fine order (as the images will support) with, equally-impressively, no issues of any nature to report underneath (i am told by my man who services it that it is as good as is possible to imagine on the underside) with any independent inspection welcome. 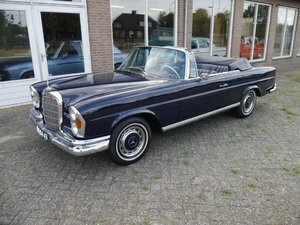 I am pleased to report that the car drives as beautifully as it looks, with the manual column-gearchange working nicely, the 2.5L petrol engine quiet and strong, the oil and temperature gauges showing correctly, the power-steering remaining dynamic and the electric sunroof still fully-functioning, with the pale-cream leather seating and contrasting navy-blue interior in great (but not perfect, as the drivers seat would benefit from a modest-recolouring in places)) condition too. 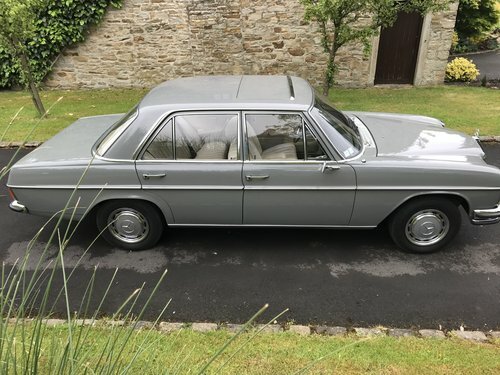 It is MOT'ed ready for its departure, and has 6-months remaining at present, and has currently covered 131895km/81995m (with a comprehensive service-history file which supports this mileage) but is still in use when the weather allows so this may rise a little prior to its sale. 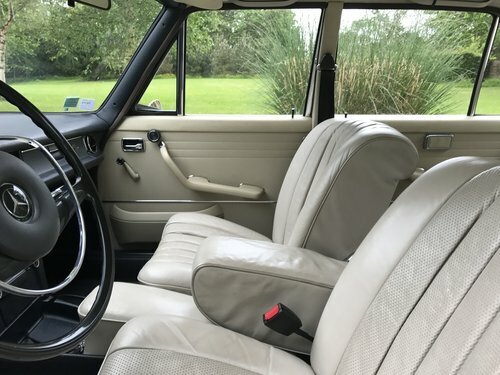 Since owning the car, i have spent far-more than i should engaging in some considered, sympathetic-updating to make it a more useable-classic for a family-man like myself. Inertia seat-belts have been professionally-fitted both front and back to maximise safety (particularly for my two wee-boys who often occupy the rear bench in their kids Recaro's), the original Blaupunkt stereo was updated with an appropriately-retro Bluetooth/USB replacement to allow handsfree-phonecalls and music-streaming, and the original Michelin tyres have literally-just been replaced with some new Uniroyal RainExpert tyres, which has refined this already-beautiful ride even further. That said, i have kept all of the original parts in case the buyer wishes to return it to its original specification. In summary, this is a beautiful thing to behold (so long as this is your bag, of course) and an unadulterated-joy to own and drive. 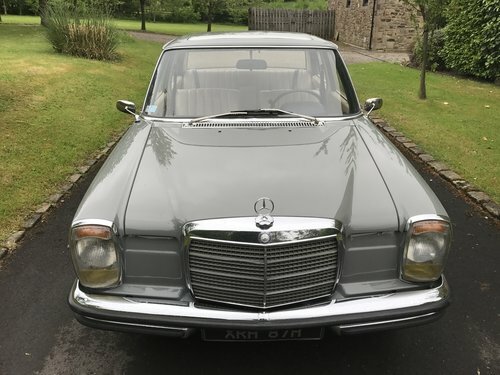 It is not perfect, so please do not harbour unrealistic expectations, but it presents itself peerlessly, starts first-time every-time, drives effortlessly and everything works exactly as intended, so cannot recommend it highly-enough for someone looking to acquire such a classic. Feel free to send questions as appropriate, and i welcome calls/texts to 07974 083330 anytime, but sales calls and canvassers shall be treated with the distain they warrant. Payment by cash/transfer on collection, and am happy to sell overseas if appropriate (but shipping will be the sole responsibility of the buyer) and take photos of specific areas upon request to assist if necessary. Car located in BB7 (Whalley, Lancashire) and, as i am a private seller, no warranty is offered with the car sold as seen.